This project included fitting a French limestone fire surround and Jetmaster Open Fire in Haslemere. Firstly, we had to remove the existing fireplace. 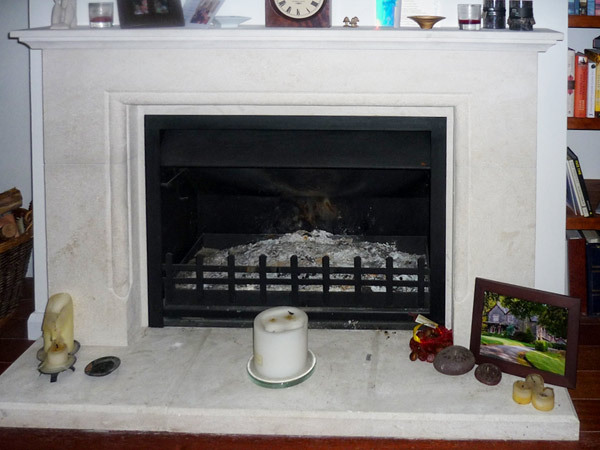 The client decided to replace with a beautiful fire surround in French limestone, which we then fitted. Finally, we finished the installation by fitting a large Jetmaster open fire. Jetmaster open fires give you the advantages a stove doesn’t — the crackle of burning wood, a bigger flame, and a quickly heated room. The fire is easy to light and heats the room quickly so you don’t need it burning all the time. The result is an efficient open fire with a fabulous flame picture. View another Jetmaster installation The Billington Partnership carried out.